Canadian Heritage Minister Melanie Joly appeared before the Standing Committee on Canadian Heritage yesterday, facing questions from MPs on a range of digital culture issues. In light of reports this week on lobbying efforts by Internet companies, Joly was asked about meetings with companies such as Google. Joly defended her interactions by noting that the meetings included discussions on Canadian content and emphasizing that she has had hundreds of meetings with cultural groups. That isn’t particularly surprising, but what should raise concerns was her suggestion that the groups rarely register the meetings in the lobbyist registry as required by law. 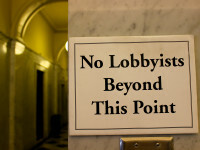 the reality is that it’s very rare that the cultural sector registers with lobbyists. I’ve had many more contacts with the cultural sector. I’ve had tens, hundreds of meetings with them throughout the country, in French or in English…I’ve had many more meetings with them than the platforms. 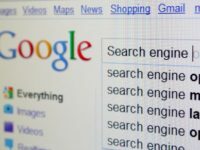 If Google has evidence that complying with such an injunction would require it to violate the laws of another jurisdiction, including interfering with freedom of expression, it is always free to apply to the British Columbia courts to vary the interlocutory order accordingly.